In June 2018, the Department of Parks & Recreation is launching its Art in the Parks: UNIQLO Park Expressions Grant initiative. The initiative will deliver the work of ten emerging New York-based artists across ten city parks designated as in need of more cultural programming. The artists were awarded their grants in February, and are tasked with temporarily transforming these parks into cultural destinations attracting residents from across the city. This is the second year of operation for the Park Expressions Grant, which in total has provided $200,000 in funding for the Arts in the Park program. The initiative builds off of the NYC Parks’ longstanding Art in the Parks program that invests in the installation of temporary and permanent installations throughout the city’s public park system. Notable past installations of the decades-long initiative include the work of Christo and Jeanne-Claude, Robert Indiana and Tony Smith. The locations of this year’s art installations are evenly distributed across the five boroughs, and are listed below. Bronx: Dionisio Cortes Ortega, Sitting Together Joyce Kilmer Park Located adjacent to the Bronx Supreme Courthouse, Sitting Together is an interactive and sculptural critique of the status quo of proceedings in courtroom cases. Cara Lynch, I’m So Happy You’re Here Virginia Park I'm so Happy You're Here will transport a gradient of interior parquet flooring patterns, with a broad color palette, to the public ream. Brooklyn: Tanda Francis, Adorn Me Fort Greene Park Tanda Francis' Adorn Me questions the lack of African-American representations in American public space, and draws upon African sculptural tradition and Ife portraiture. Roberto Visani, (x)ofmanychildren Herbert Von King Park Visani's (x)ofmanychildren utilizes 3-D modeling software and is inspired by West African figurative sculptures. Manhattan: Karla & James Murray, Mom-and-Pops of the L.E.S. Seward Park Mom-and-Pops of the L.E.S consists of four-life sized mom-and-pop businesses that have recently disappeared from the Lower East Side streetscape due to rising gentrification. Harumi Ori, I am Here Thomas Jefferson Park I am here consists of folded and sewn orange industrial mesh depicting snapshots of Thomas Jefferson Park taken by Harumi Ori. Landsberg recreates several islands from the adjacent Unisphere, which will form a publicly accessible archipelago representing the diversity of Queens. 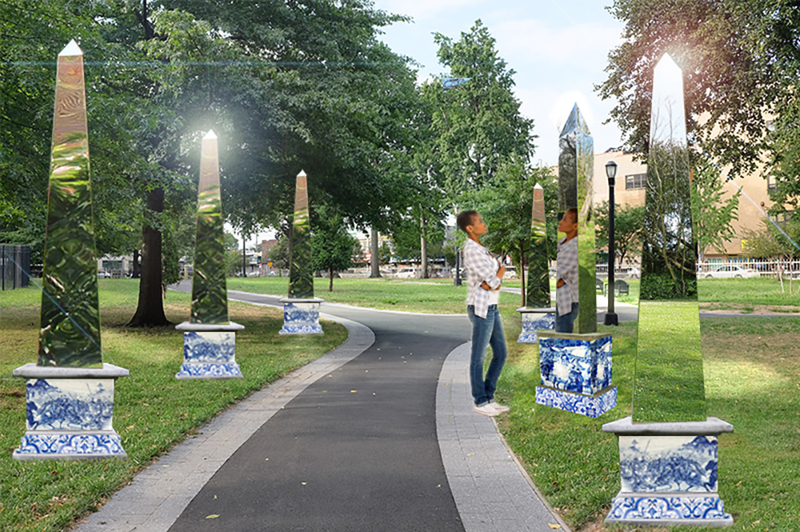 Rose DeSiano, Absent Monuments Rufus King Park These mirrored obelisks will stand upon blue and white Dutch Delft photographic tiles which interact with Native American pattern work. Staten Island: Jackie Mock, The Pencil Museum Faber Park The Pencil Museum is a collection of antique writing instruments, located on the former grounds of Johann Eberhard Faber's Mansion. Faber was the owner of the Johann Eberhard Faber Pencil Factory, the first of its kind in America. Adam Frezza & Terri Chiao, Stick Stump & The Lawn Lumps Tappen Park Frezza & Chiao's exhibit is a collection of playful forms meant for public interaction. A $1 billion update to New York City’s subway system is coming, and although the resulting renovations will shutter six stations for the next few months, transit advocates are outraged that $250 million has been designated for cosmetic upgrades. In a 10-3 vote by the Metropolitan Transportation Authority (MTA) board yesterday, the body approved a station improvement funding package, backed by Governor Andrew Cuomo, which will refurbish 33 stations across the city. But the package leaves out necessary upgrades that would bring aging stations in line with Americans with Disabilities Act (ADA) requirements. 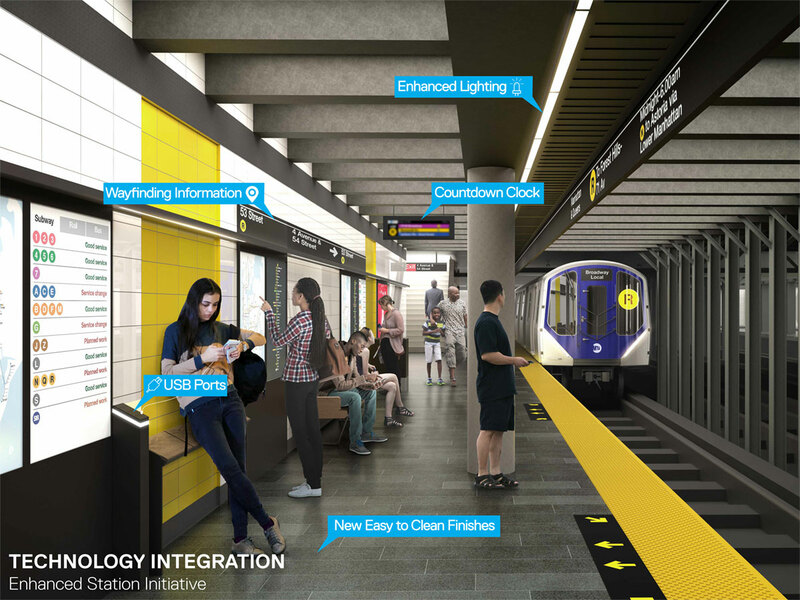 The $250 million will instead go towards installing USB and lightning chargers in the affected stations, as well as adding glass barriers, better lighting, and new surface-level entrance vestibules. 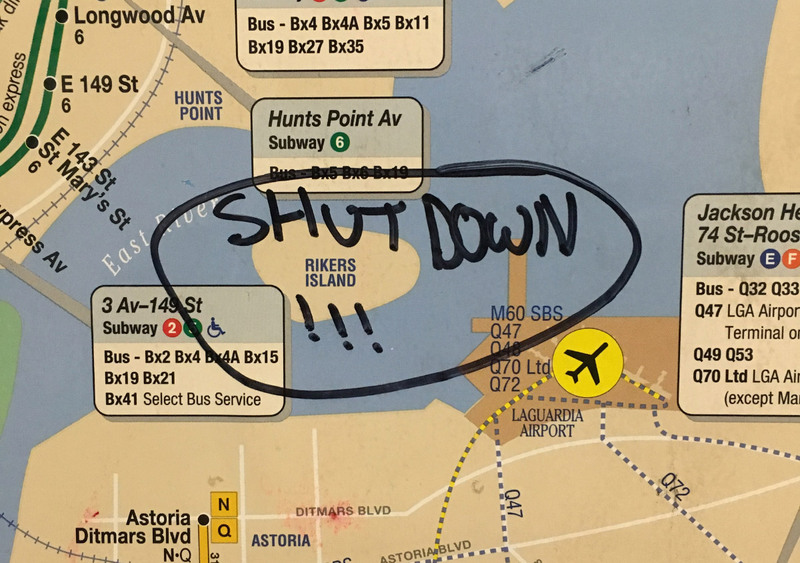 The passage of Governor Cuomo’s Enhanced Station Initiative was far from a sure thing, especially after MTA board members appointed by Mayor Bill de Blasio successfully blocked an initial vote. Criticizing the plan’s selection of stations in need of repair, failure to allocate money for elevators or to address the system’s failing infrastructure (and the share of the bill that the city would have to foot), the vote was rescheduled pending further study. Now it seems that the MTA board has ultimately sided with Governor Cuomo, as Andy Byford, the new president of New York City Transit (the subsection of the MTA responsible for the subway system) sided with the Governor. Byford defended the Enhanced Station Initiative as more than a cosmetic upgrade, and told the New York Times, “To wait for perfection at every station? Some will fall into a dangerous state of disrepair, and you will fall into my scenario of, ‘Yes it’s ADA-compliant but oops’.” As a compromise, New York City Transit has hired an outside consultant that will evaluate the cost and feasibility of bringing all of New York’s 355 inaccessible stations, or nearly 80 percent, into compliance; though so far, retrofitting these stations has been an uphill battle. The first $240 million dispersed from the initiative will go towards renovating a set of highly trafficked stations in Manhattan. The 23rd Street and 57th Street stations on the Sixth Avenue lines, the Lexington Avenue line's 28th Street station, the 34th Street-Penn Station, the 145th Street station in Manhattan and 174th-175th Street and 167th Street Grand Concourse line stations in the Bronx will all undergo modernization. While a start date for the construction hasn’t been announced yet, all of the aforementioned stations except Penn will be closed for the duration. Although subway service work typically lasts six months on average, no exact length for the repairs was given. 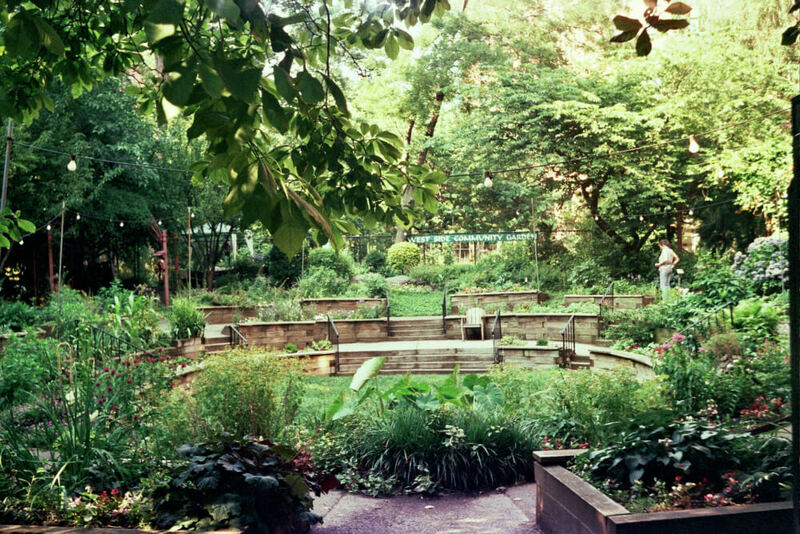 Just in time for spring, the 36th season of outdoor art at Madison Square Park will bring architectural landscapes, dissolving mythological figures, and eroding monuments to the lower Manhattan park. Diana Al-Hadid’s Delirious Matter will weave feminine narratives with Modernist thinking and scatter “ruins” for park-goers to discover come May 7, 2018. The Aleppo-born artist is well known for using casting techniques and materials that result in ethereal, yet surprisingly strong, works, and Delirious Matter is no exception. Six sculptures will be on display, and all of them resemble eroded organic forms, produced through pouring colored polymer gypsum on a surface, peeling it off and reinforcing the structure with a fiberglass coating. Al-Hadid has called the technique “a blend between fresco and tapestry.” “I was educated by Modernist instructors in the Midwest, but also was raised in an Islamic household with a culture that very much prizes narrative and folklore,” explained Al-Hadid. On the park’s Oval Lawn, Al-Hadid will lay down a set of 14-foot-tall porous walls that fade into the hedges, one 36 feet long and the other 22 feet, allowing visitors to explore the gaps in the hard scaffolding. The first wall, Gravida, evokes the Roman god Mars Gradivus, while the second references Allegory of Chastity by Hans Memling, a 15th century painting where a woman arises from a mountain, her clothing and body becoming one with the rocky landscape. Three female figures in repose, all of them missing heads and sitting on plinths, will be scattered around the rest of the park. The three sculptures that make up Synonym all hover in midair, dripped over invisible, destroyed classical statues, and are seemingly supported by nothing more than the extra fluid that’s spilled over the sides. A final sculpture, also referencing Allegory of Chastity, will be installed in the park’s reflecting pool. Delirious Matter is Al-Hadid’s attempt to blend sculpture and plant matter for the first time in her career, much in the same way her work combines contemporary fabrication methods to reinterpret historical paintings and sculptures; it also represents her largest show to date. Delirious Matter was made possible in part by a $35,000 grant from the National Endowment for the Arts, and through the support of the Madison Square Park Conservancy. 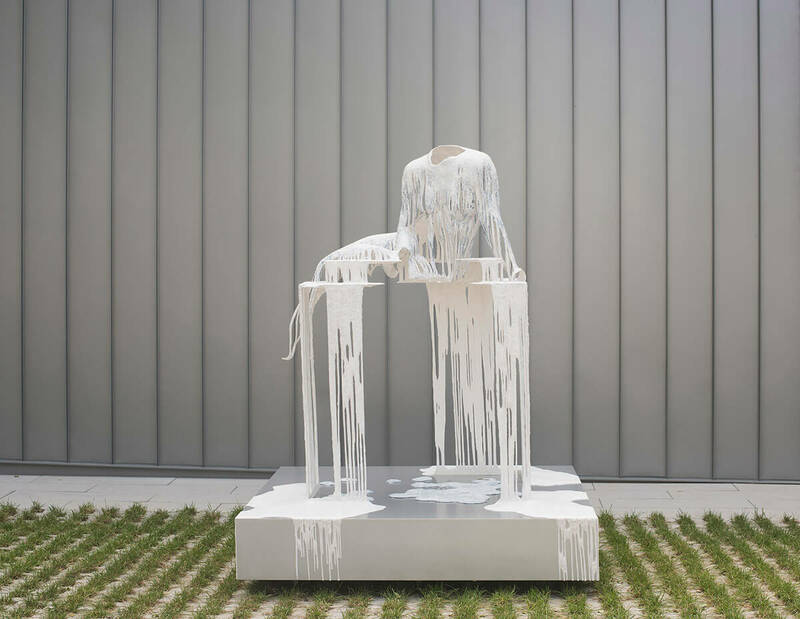 The show will run in tandem with the Diana Al-Hadid: Delirious Matter at the Bronx Museum of the Arts from July 18 through October 14, 2018, while Al-Hadid’s melting mashups in the park will be on display until September 3, 2018. Only two weeks after New York City announced that Perkins Eastman would be studying potential locations and designs for the borough-based jails that will eventually replace Rikers Island, the Mayor’s office has released a list of the chosen, community-based sites. These four smaller jails will ultimately provide space for 5,000 inmates, and are spread out across three existing Department of Corrections (DOC) facilities and one new location in the Bronx. The four chosen sites are as follows: Manhattan Detention Center, 125 White Street, Manhattan, 10013 Brooklyn Detention Center, 275 Atlantic Avenue, Brooklyn, 11201 Queens Detention Center, 126-01 82nd Avenue, Kew Gardens, 11415 NYPD Tow Pound, 320 Concord Avenue, Bronx, 10454 The decision is as a joint agreement between Mayor Bill de Blasio, Speaker Corey Johnson, and City Council Members from each of the relevant boroughs. As part of the arrangement, all four sites will undergo the Uniform Land Use Review Procedure (ULURP), the public review process, as a single project instead of individually. The city will simultaneously solicit public input and conduct an environmental impact statement (EIS) to speed the ULURP process along. “This agreement marks a huge step forward on our path to closing Rikers Island,” said Mayor de Blasio in a press release sent to AN. “In partnership with the City Council, we can now move ahead with creating a borough-based jail system that’s smaller, safer and fairer. I want to thank these representatives, who share our vision of a more rehabilitative and humane criminal justice system that brings staff and detainees closer to their communities.” Of note is the establishment of a permanent jail in the Bronx, which as of writing is serviced by “the Boat,” a jail on the barge in the East River, and the reopening of the Kew Gardens detention center which closed in 2002. The plan to renovate and reorient these jails towards a rehabilitative model will be spearheaded by Perkins Eastman and its 17 subcontractors. Besides masterplanning the sites, Perkins Eastman will also be responsible for maximizing density at each of jail. This movement of inmates off of Rikers will be accompanied by a suite of intake, bail, mental health and re-entry reforms targeted at reducing the overall amount of inmates. Mayor de Blasio’s announcement comes, maybe not coincidentally, immediately after the state level Commission of Correction released a scathing 70-page report on the condition of Rikers Island. The commission, which has delivered its findings to Governor Andrew Cuomo and the state legislature, has labeled Rikers as one of five “worst offenders” in the state, and details inmate deaths, escape attempts, fires, and conditions that are “unsecure, unsanitary and dangerous, for staff and inmates alike.” Although the city has committed itself to closing Rikers Island within ten years, the state may take action as a result of this report to close the jail sooner. The full report is available here. Today the New York City Economic Development Corporation (NYCEDC) unveiled preliminary designs for a new YMCA in Edenwald, a north Bronx neighborhood that borders Westchester County. The 50,000-square-foot community and recreation facility will be designed by local firm Marvel Architects. The city selected the YMCA to develop and run the facility back in August 2016. In addition to the all-ages programming the Y is known for, the building will feature two pools, a gym, and a full-size basketball court. It will be located on the eastern side of what's known as the Edenwald site (1250 East 229th Street), a property that's owned by the city's child welfare agency and includes the Christopher School, a residential institution for students with developmental disabilities. “For more than 40 years, we’ve been trying to establish a recreational center of this magnitude. Our district is one of the few districts without one," said City Council Member Andy King, in a prepared statement. "I am grateful that a brand-new YMCA is coming to our community. It will serve thousands of residents in the 12th Council District as well as create jobs and eventually bring much needed activity and meeting space in our community.” The preliminary design of the $58 million project is subject to the Public Design Commission's approval. Construction is expected to begin this fall, and the project should be completed by 2020. Before shovels can hit the ground, however, the planned YMCA has to go through Uniform Land-Use Review Procedure (ULURP), the city's public review process. Picture New York, 2040: Buses replace the subway at night, but when they’re open, subways are quieter, wheelchair-accessible, and clean. Everyone’s ditched tiny apartments for cozy mother-in-law units, built into single- family suburban homes. Working in the Bronx and living in Brooklyn isn’t a two-hour slog anymore, because there is rail service from Co-op City to Sunset Park. Craving fresh air? The national park in the New Jersey Meadowlands is a one-train ride from Queens, or there’s a long-haul hike from the Catskills to the Pinelands. This is a sliver of the tristate future envisioned by the Regional Plan Association (RPA), a nonpartisan, nonprofit Manhattan-based organization that periodically analyzes the region from exurbs to downtowns to generate recommendations for a thriving future. When all 782 towns and cities in the tri-state area do their own planning and zoning, true regional planning seems daunting. The almost 400-page doorstopper of a plan, the RPA’s fourth since 1922, contains recommendations on a range of issues, from closing health disparities to fairer school redistricting and property tax reform, to making it easier to reverse-commute or travel from suburb to suburb without a car. The New York-New Jersey–Connecticut area is home to 23 million people, and only a third of them live in New York City proper. With that distribution in mind, the RPA identified four top priorities that affect everyone’s life. The group believes that, for the next 25 years, a thriving region depends on fixing the MTA, constructing more affordable housing to prevent displacement, building equity in one of the most unequal regions in the area, and adapting to rising sea levels. “Our plans carry zero weight of law, but they are very influential,” RPA President Tom Wright told reporters at a November briefing. 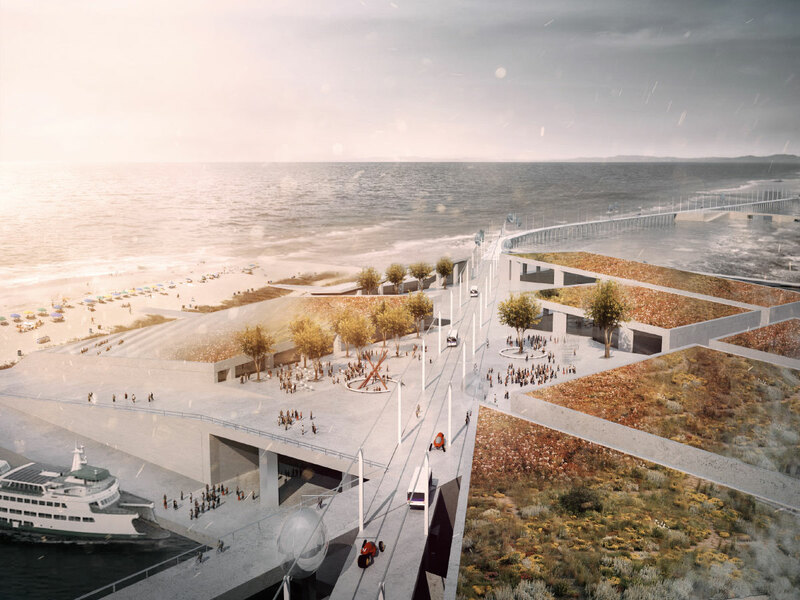 It’s not possible to analyze all of the plan’s 61 prescriptions here, but there are key takeaways for architects, planners, and policymakers who live and practice in the region. The idea that the subway needs a total overhaul is a no-brainer to anyone who has been late due to massive train delays. To improve the system, the group wants to reconsider around-the-clock subway service. Surface transit would replace trains between 12:30 a.m. and 5 a.m. on weeknights, as only 1.5 percent of daily riders use the service during these four and a half hours, almost 20 percent of the day. Ending 24/7 service, the RPA argues, would allow the beleaguered MTA to make needed repairs faster, now that there are more riders than ever. New Yorkers didn’t take kindly to the idea. Commuters took to Twitter to denounce “the worst idea ever,” and even Mayor Bill de Blasio weighed in, calling full service a “birthright.” If current trends continue, the city’s growth rate from 2015– 2040 will be half of its 1990–2015 rate, but NYC officials say the city doesn’t have enough infrastructure to support more than nine million residents, even though the RPA believes the region (including NYC) could accommodate four million more people and add two million jobs. The organization argues that more and better transit options— and more affordable housing— will prevent the region from turning into California’s Bay Area and make it easier to grow inclusively. Packed trains and sky-high rents reflect many people’s desire to live in the New York City area, but unchecked housing costs could put a damper on growth. Adding more units—two million more— would alleviate the real estate crunch over 25 years. To meet demand, the RPA estimates that changing zoning near train stations could allow 250,000 homes to be created just on surface parking near rail lines while maintaining the neighborhood balance of schools and social spaces. Reforming zoning restrictions could also encourage homeowners to create accessory dwellings units (mother-in-law apartments) within the existing building envelope, while NYC’s 12 FAR cap could be lifted to build up density. Value capture from real estate development, especially those that benefit from big-ticket projects, could fund affordable housing near transit. All housing construction will be in vain, however, if the region doesn’t step up to address the immediate and terrifying effects of climate change. The RPA wants to reduce carbon dioxide emissions via a California-style cap-and-trade plan, and convene a regional commission to help local governments adapt to extreme weather and rising seas. But, according to the RPA, the carbon pricing system we have isn’t comprehensive enough; the region should switch to California’s model, which does more to reduce emissions by covering those from buildings, transportation, power production, and industry. One million people from Connecticut to New Jersey live in areas likely to flood, and municipalities are gearing up to fight Hurricane Sandy-like storm surges. There is less emphasis, though, on the everyday flooding that’s likely to result from sea-level rise in the near future; the RPA says areas that can’t be protected should be gradually transitioned to higher ground. A tristate regional coastal commission would help communities plan for sea-level rise, and a small surcharge on property insurance would be used to fund resiliency measures like buyouts and coastal hardening. The retreat from vulnerable areas is painful for people who have built lives there, but there are opportunities in the changes. A national park in the marshy, industrial Meadowlands would provide recreation space and educate visitors on climate change mitigation. 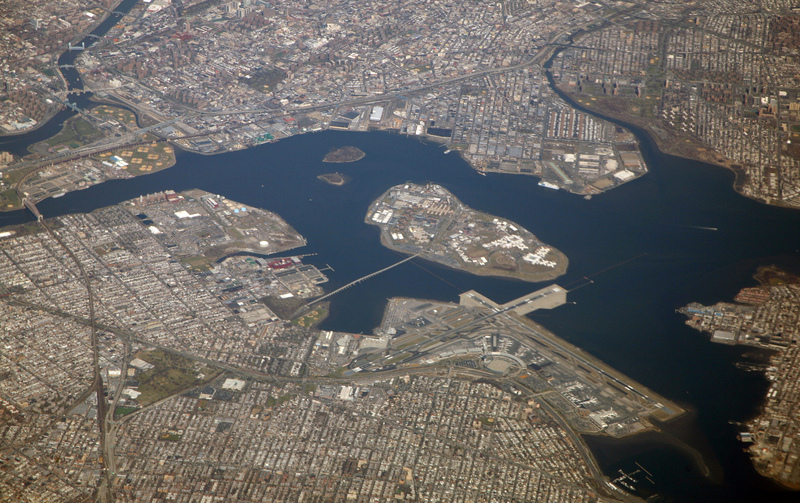 Denser Meadowlands towns like Secaucus, New Jersey, would be protected from sea-level rise, while the Teterboro Airport and surrounding communities would retreat, and nature would take over. To illustrate these recommendations more richly, the RPA applies its thinking to nine sites, imagining what they could be in 2040. In that year, Jamaica, Queens, has capitalized on its rich transit connections and proximity to JFK Airport to become a destination in its own right, while retaining its income and ethnic diversity. Further east, Long Island’s central Nassau County is a “model suburb” thanks to regionally integrated schools and a new North Shore–South Shore rail link that’s made it easier to access job centers in Hempstead and Garden City. “Nothing is off the table,” Wright said. This week, Mayor Bill de Blasio announced the location of New York City's newest animal shelter. The 47,000-square-foot Bronx home for rescued, missing, and abandoned creatures will be designed by global firm Mott MacDonald. Last year, city shelters placed 93 percent of its dogs and cats with pet parents through public adoption or through the city's adoption partner program. 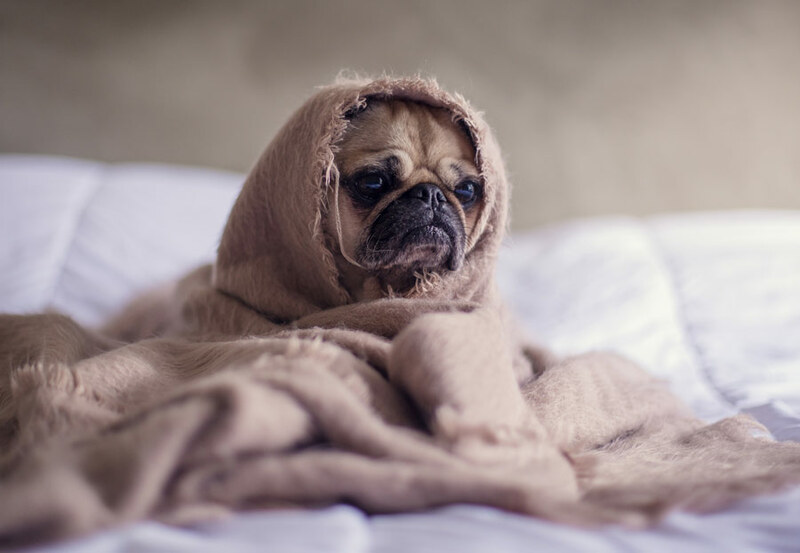 The shelter system, which contracts with nonprofit Animal Care Centers of NYC (ACC) to provide services, takes in an average of 30,000 animals across in all five boroughs annually. With space for 70 dogs, 140 cats, 30 rabbits, and 20 other animals, plus ACC offices, this will be the Bronx's first full-service shelter. "We are a completely different organization than we were even five years ago. We have become the go-to resource for NYC animal related issues—from pet adoption to rescue to help with keeping pets and families together," said ACC President and CEO Risa Weinstock, in a prepared statement. "We are excited to bring that level of service to the Bronx, with the addition of a new facility." The East Bronx facility, pictured above, will cost $60 million to build. The city is also renovating an existing shelter in East New York, Brooklyn, to meet demand for animal care services. Pending a successful Uniform Land Use Review Procedure (ULURP), the Bronx building is slated to open in 2024, while renovations on the Brooklyn building will be complete in 2022. Mayor Bill de Blasio and Department of Cultural Affairs Commissioner Tom Finkelpearl have announced seven partnerships for the inaugural Mayor’s Grant for Cultural Impact (MGCI). The selected initiatives are meant to equitably enhance existing services or public assets while addressing issues like urban planning, literacy, public heath, and criminal justice. "Our CreateNYC cultural plan called for thoughtful, innovative ways to integrate our [city]'s creative energy into public service. Today, we continue to put that into action," said Mayor Bill de Blasio, in prepared remarks. "When [city] government works hand in hand with community anchors, we can deliver the cultural access and equity which all New Yorkers deserve." MGCI grows out of CreateNYC, the city's cultural blueprint. That initiative found "major potential" for these types of government-nonprofit collaborations across the arts. The participating organizations were selected through an application process and an open call. Each collaboration garners $50,000 in cash from the Department of Cultural Affairs (DCLA) and $25,000 in matching funds or in-kind services from the partnering group. Taken together, the collaborations are worth over a half a million dollars. In East New York, Brooklyn, neighborhood nonprofit ARTs East NY is teaming up with the Department of City Planning (DCP) for CivLab, a project to activate an underused public space in Success Garden, a slice of green on Williams Avenue between the Livonia L and Pennsylvania Ave 2/3 trains. While building off of the city's rezoning of the neighborhood for higher density and more affordable housing, the project will try to integrate the arts into civic life. "We are excited to take part in this extension of the CreateNYC Cultural Plan. This initiative will allow us to deepen our work with community members in revitalizing vacant spaces in the East New York community, replacing them with reflective beauty and pride," said Catherine Green, founder and executive director of ARTs East New York. Like the six other teams, ARTs East NY and DCP have until June 30—the end of the fiscal year—to carry out their program. Other partnerships include the Bronx Documentary Center's collaboration with the Mayor’s Office of Criminal Justice, and a joint Carnegie Hall–Department of Probation initiative. A full list and project descriptions can be found here. The announcement that artist Tim Rollins has died at age 62 has shocked many of his colleagues in the art world. Along with Julie Ault and Félix González-Torres, Rollins co-founded Manhattan-based Group Material in 1979. The collective's East Village gallery questioned curatorial practices with a series of oddball shows that, according to ArtNews, “included pop-cultural objects alongside artworks." Rollins was probably best known, however, for K.O.S. (Kids of Survival), a student collaborative he founded in 1981 to make art with middle schoolers from the South Bronx. He worked alongside the students in an after-school Art and Knowledge Workshop, housed for many years in the American Bank Note Building in Hunt's Point, the Bronx. In the early 1990s, Rollins commissioned Aldo Rossi to design a new campus building for the workshop a few blocks away from the studio on small South Bronx site that, if built, would be a sign of hope and rebirth in what was then a physically devastated neighborhood. Rollins picked the hilltop site for its visual prominence but also because it would be adjacent to the notorious Spofford Juvenile Detention Center, a now-shuttered youth jail that's being redeveloped by WXY. He thought this colorful new Rossi-designed school building would be a symbol of hope for the Bronx, as it would have been visible from at least three boroughs. Writing in the New York Times, Herbert Muschamp applauded Rollins's choice because of Rossi’s commitment to the idea of an city and because of his "Jeffersonian ethos: the link between education and freedom; the recasting of traditional architecture in the mold of progressive ideals; the union of architecture and public life." I met with Rollins in his studio at the time, and he tried to solicit my help in raising the $5 million dollars needed to build the project and get it though New York City building regulations. I spent months trying make it happen and recall being discouraged by everyone whose help I sought at city agencies and nonprofits. Sadly, Rossi’s Bronx Academy was never built, but the drawings the architect produced remind us of Rollins foresight, courage, and intelligence to even try to imagine an architecture of transcendent possibility and hope. 2017 may have had its peaks and valleys (to be honest, more than its fair share of valleys), but all felt the loss of revered figures throughout the design world this year. 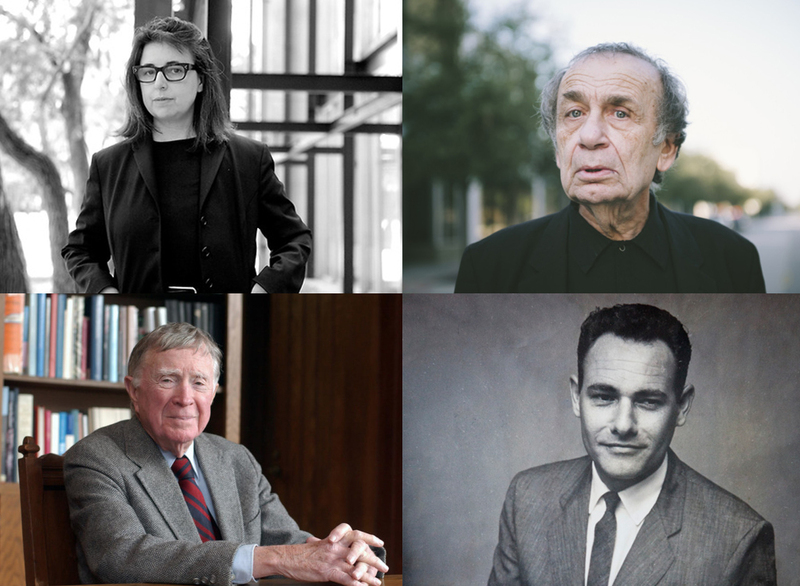 Below we pause to remember these notable people and their contributions to design, criticism and pedagogy. (See the rest of our Year in Review 2017 articles here) James Ackerman Born November 8, 1919, James Ackerman was a prolific architectural historian and scholar of the Italian Renaissance. In 1969, Ackerman became a Slade Professor at Cambridge University; The Slade Professorship of Fine Art is the oldest professorship of art at the universities of Cambridge, Oxford, and London. Ackerman passed away December 31, 2016, at the age of 97. Christopher Gray Architecture writer, historian and longtime author of the New York Times Streetscape column Christopher Gray passed away at age 66 in March. Gray was a voluminous writer, having published over 1,450 columns between 1987 and 2014. His wry humor and sly observations, coupled with a habit to pick up on stories that others might overlook, all contributed to a wide readership. Hugh Hardy A fixture of the New York City landscape, architect Hugh Hardy’s impact was felt by nearly every major theater in the city. Born July 26, 1932, Hardy worked on projects ranging from Radio City Music Hall to the Brooklyn Academy of Music, as well as the Windows on the World restaurant inside of the World Trade Center. Theaters nationwide dimmed their lights after Hardy’s death on March 15th. Vito Acconci Conceptual artist and architect Vito Acconci passed away earlier this year at the age of 77. The Bronx-born, Brooklyn-raised artist is most well known in the architectural world for designing the Storefront for Art and Architecture in Manhattan with Steven Holl, as well as teaching architecture at Pratt. Acconci leaves behind decades of breakthrough performance art, and Acconci Studio in Brooklyn. Diane Lewis Diane Lewis, the first woman architect appointed to the Cooper Union’s full-time faculty, died on May 2nd at age 66. 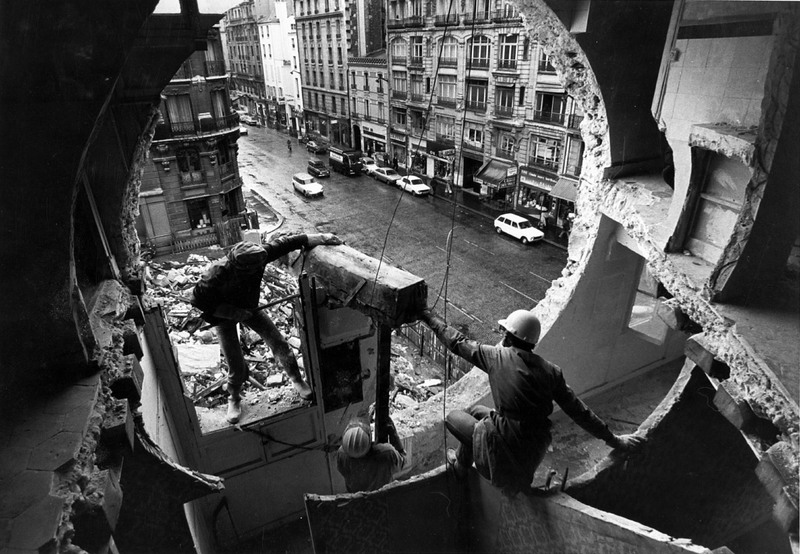 Lewis, winner of the 1976 Rome Architecture Prize in Architecture and the 2008 Smithsonian Cooper Hewitt National Design Award, also served on many faculties around the world and was an integral part of New York’s contemporary design scene. Robert Kliment A cofounder of the award-winning Kliment Halsband Architects with his wife Frances, Robert Kliment passed away June 3rd of this year at the age of 84. Kliment was also a faculty member at Columbia University and the University of Pennsylvania. Known for work that was both thoughtful and humanistic, Kliment was the principal designer on several well-known institutional and educational buildings. Hilary Ballon Hillary Ballon, a professor of Urban Studies and Architecture at NYU, passed away on June 16 of this year at age 61. 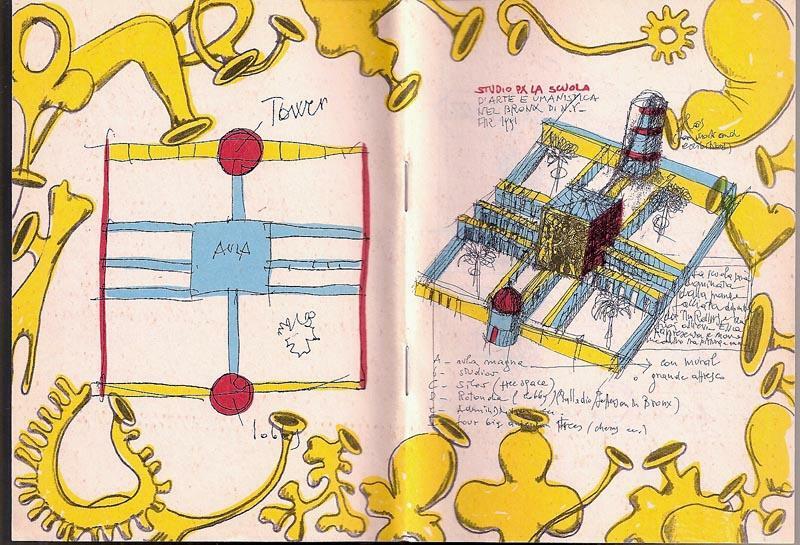 Ballon was a prolific author and curator, having written several recognized books on how urban planning relates to social, political, and economic forces. Branden Klayko Committed urbanist, journalist, and former senior editor for The Architect’s Newspaper (AN), Branden Klayko passed away in June at age 33. An instrumental part of AN’s founding, Klayko used his writing to advocate for sensible urban solutions that took the whole streetscape, and the public’s interaction with it, into account. Peter Pran Norwegian architect Peter Pran passed away at age 81 on July 5th of this year. Known for bringing modernist ideas to larger corporate firms, Pran was an extremely productive designer with projects realized on nearly every continent. He had previously held positions at Ellerbe Becket, Skidmore, Owings & Merrill (SOM), and NBBJ, and was a co-founder and partner of Peter Pran + H Architects in New York City. Gunnar Birkerts Latvian-American architect Gunnar Birkerts passed away at the age of 92 on August 15th, just as the place of his 40-year career in the architectural canon was being reevaluated. An ardent modernist and individualist, Birkerts’ usage of experimental materials and attention to space planning were well-served in Detroit, where he could work without compromising on his unique style. Fred Koetter Avowed urbanist, teacher, critic and former Dean of the Yale School of Architecture Fred Koetter passed away at the age of 79 on August 21. During his tenure as Dean, Koetter established the school’s Rome summer program and Yale Urban Design Workshop, and continued to win acclaim for projects realized through his professional firm of Koetter Kim & Associates, co-founded with Susie Kim. Albert Speer, Jr. Prominent German architect Albert Speer, Jr., who spent much of his life trying to get out of the shadow of his Nazi father, Speer, Sr., passed away one September 15th at the age of 83. A renowned urban planner whose progressive approach focused on human-scale projects, Speer’s firm, Albert Speer + Partner, made successful bids in recent years for larger projects such as the 2022 Qatar FIFA World Cup. David Marks David Marks, whose Millennium Wheel has made a lasting impact on London’s skyline, passed away at the age of 64 on October 5th. The Swedish designer was a graduate of the Architectural Association School (AA) and known particularly for his fondness of elevated views. He designed and built several elevated viewing platforms in England, as well as having recently proposed a gondola system for Chicago. Albert C. Ledner Modernist Albert C. Ledner, whose nautical-themed designs changed both New Orleans and New York, died on November 14th at the age of 93. Despite spending much of his career outside of the mainstream, his work won recognition in recent years owing to its playful, sometimes seemingly esoteric qualities. Vincent Scully Distinguished architectural historian Vincent Scully, a Yale professor for over six decades, passed away on November 30th at the age of 97. Scully was a champion of American architecture and design, and his teaching and written works affected generations of architects and critics. Other than teaching, Scully was a productive author with 20 books to his name, focusing on everything from Greek sacred architecture to Frank Lloyd Wright. Ivan Chermayeff Founding titan of modern graphic design Ivan Chermayeff passed away at age 85 on December 3rd. The long-lasting legacy of his award-winning firm, Chermayeff & Geismar, can be felt in the dozens of logos they designed, from NBC’s peacock, to the National Geographic and PBS logos. Besides for-profit projects, Chermayeff was also involved with creating the identities of non-profits ranging from the MoMa to the Library of Congress.